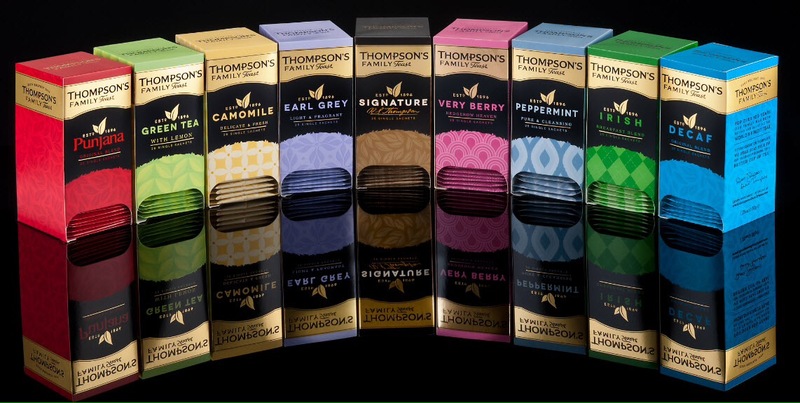 Thompson’s Family Teas are a locally owned firm which has been blending and making tea in Belfast since 1896, the most famous brand of which is Punjana. I was extremely fortunate to have spent the lion’s share of yesterday at the Belfast head quarters of Thompson’s Family Teas with Mr Ross Thompson. Ross, along with cousin David are the third generation of the Thompson family and are the Directors. 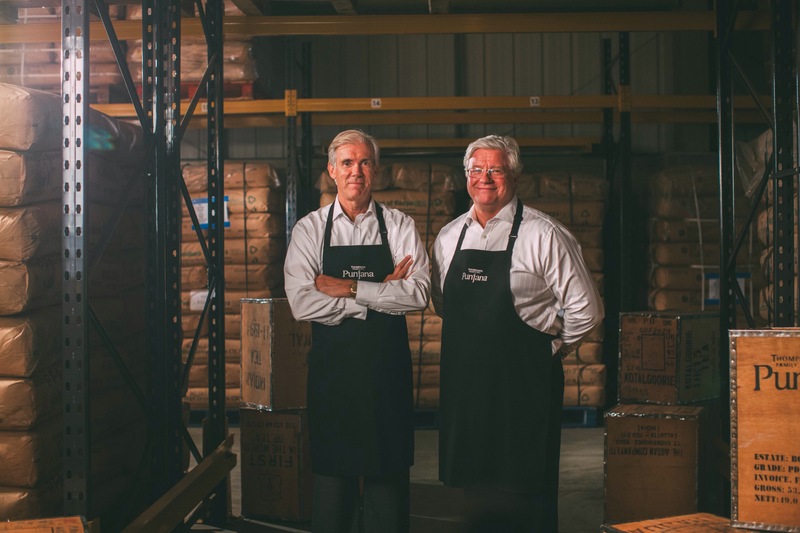 Their grandfather Robert started the company in 1896 and then his two sons James (Ross’s father) and Tony (David’s father) took the helm. Ross is in charge of the Speciality Thompson Teas and both are responsible for the regular teas. 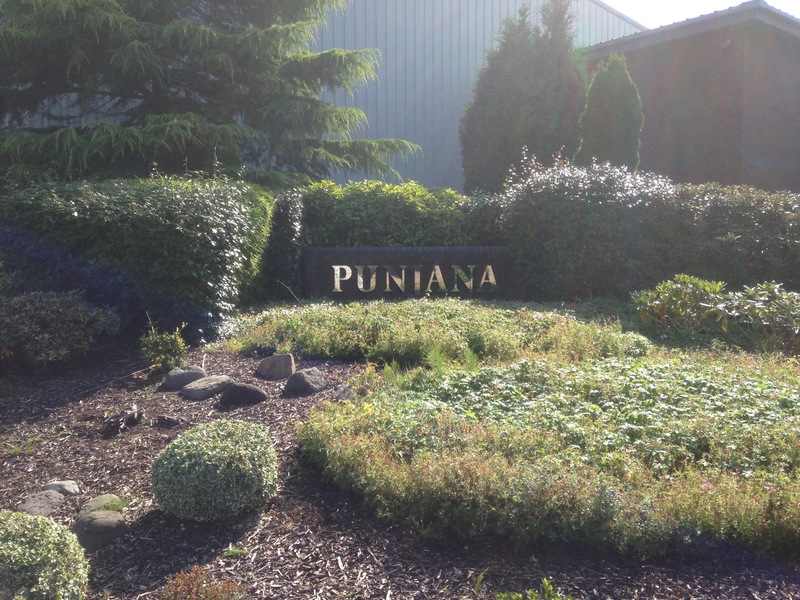 The most famous brand of Punjana was coined by Ross’s mother Lillias. The story goes one afternoon in 1949 when James was waiting for Lillias, who was shopping in Comber, he saw Gillespie’s Statue (he fought in Punjab India) in Comber Square. He told Lillias who noted that the letters ana were found at the end of tea gardens names in India and she combined Punj with ana and voila Punjana was born. It was not until 1959 that the famous slogan “Pick Punjana Tea” was broadcast in an animated advert on TV and the rest is history. I can remember hearing and seeing the ad (in the 70’s!!!) and it has stuck with me to this day- it truly is a simple but powerful slogan. Ross joined the firm at the age of 24 (after a short banking career) in 1979 and was bitten by the tea bug!! His father sent him to India for three months, first to Kolkata (Calcutta) for a month and then for two months visiting the Tea Gardens in Assam. It was here that Ross really immersed himself, quite literally in Camellia Sinsensis or the humble tea bush. He has really become a true expert and master in the UK and in the further afield Tea World and is well respected and revered by his peers. He is a very modest and humble man and does try and shun publicity, yet is very passionate about tea, the source, production, staff and end product and is very garrulous about it. He knows and treats all 50 staff at the Belfast plant as part of the Thompson Family and he and David will dine with them in the canteen and treat them extremely well. Ross would like to see the Thompson Tea brands in “Nice Places” such as the Titanic Building, The Hastings Hotels, The National Trust, high end shops and restaurants and other high value places, in locations from here to the mainland and further afield. By his own admission the Thompson Teas are an everyday product made from the best possible and highest quality blends of teas available. 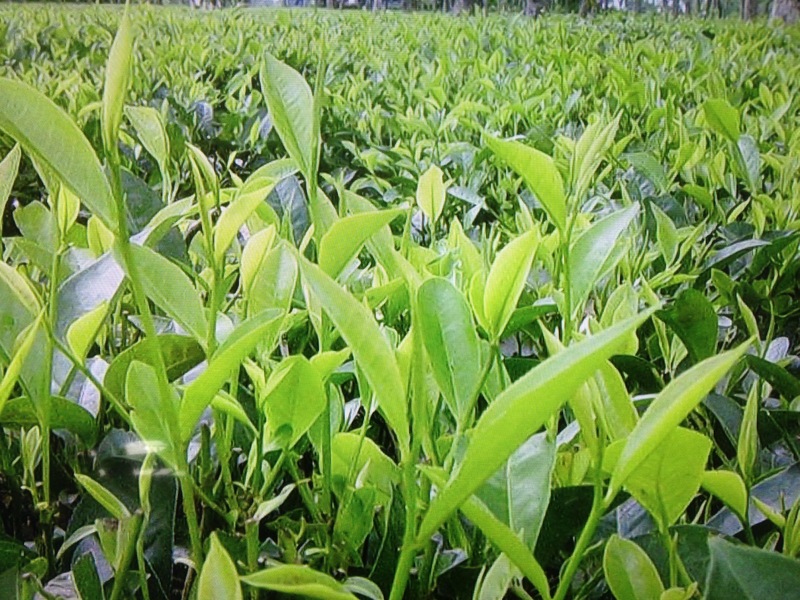 The two main areas in the world where the teas come from are Kenya (East of the Rift) and Assam in India. The main differences between the two types of tea can be explained by the soil it is grown in and the weather (Kenyan has rain all year round as it is equatorial and in Assam the climate has a distinct 3-4 month dry season). The top two leaves and bud are handpicked by very skilled tea pickers (although sadly more mechanisation is creeping in). Once leaves are picked in June, July and August for optimum taste and therefore cost, the tea leaves are left to wither for 12 hours. This will release 60% moisture and there is a lovely aroma at this stage. The leaves are then crushed, rolled or cut (green) and then fermented for 50 minutes to get black tea, or air dried to get green tea (non fermented). They are then vacuum packed in foil lined bags and palleted up and are ready for shipping. The facility in Belfast can hold, when full, approximately 20,000 bags of tea. 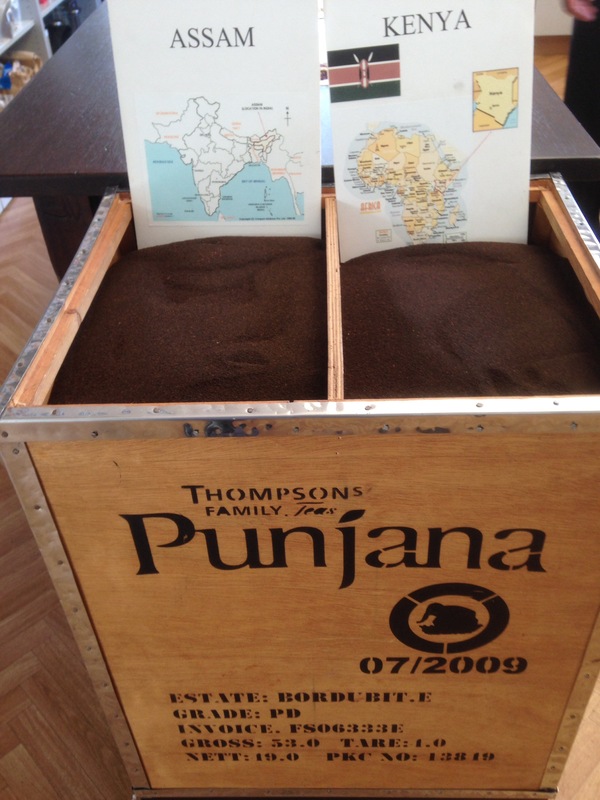 This loose leaf tea from over 30 gardens from Kenya and India are all different sizes. They are classified according to size and shape and are called wonderful names such as tippy golden flowery broken orange pekoe, broken, fannings or dust or a combination of the afore. These bags would then be mixed in hoppers (all enclosed so there is no water or other contamination) to carefully concocted recipes. They would then be automatically put into tea bags (which are 3g) and boxed up ready for the shops. They would blend on average a third of Assam tea with two thirds Kenyan to make their tea. 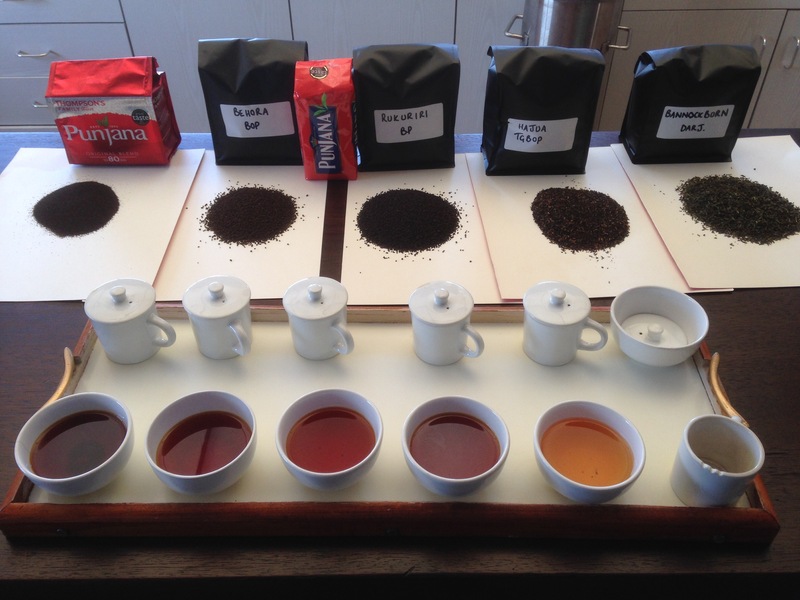 Assam tea is more full bodied, rounded and malty, whilst Kenyan is a lighter and brighter flavour. 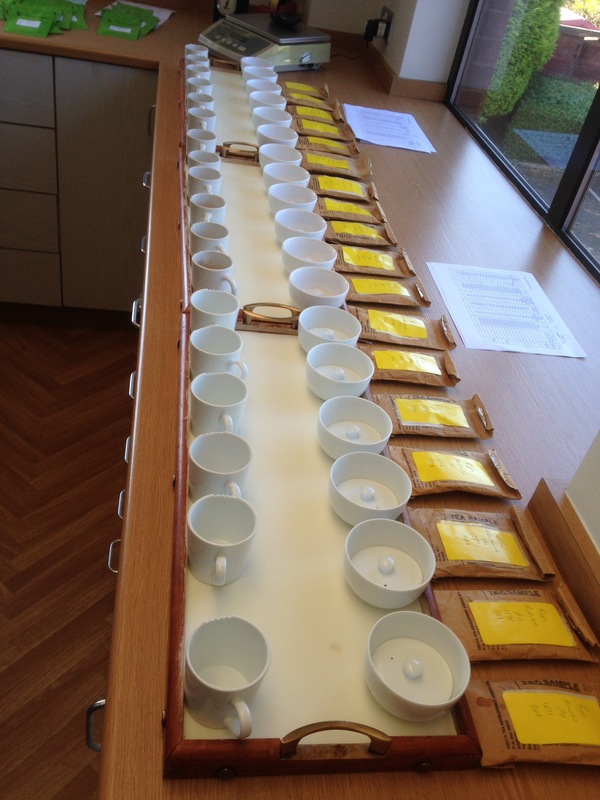 The brothers taste samples every week (I had the opportunity to taste several teas which was an experience!!) and through tea brokers in London and Dublin, who represent Mombasa and Kolkata markets, teas are bought at auction or direct from the Kaitan family (who own the McCloud Russell Company in Assam). Here in Northern Ireland Punjana was sold as loose leaf tea from 1950 in a quarter pound bag for two and 6 pence. 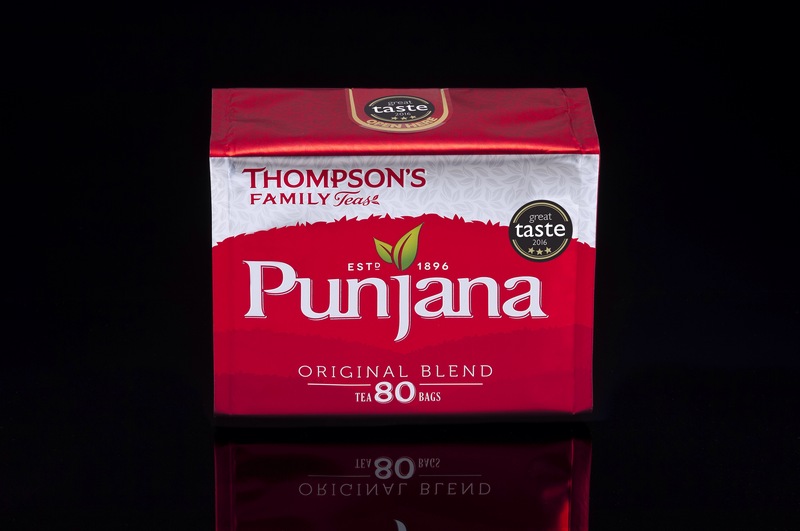 It was not until 1955 that tea bags were invented and from 1956 Punjana was sold in packs. The most common pack size is 80 bags which will on average provide tea for a family of four for a week (4 cups a day). In NI we consume about 1 million bags a day!!!! The market share is about 30% but when you actually see what the other brands use in their tea bags, you will be surprised. Punjana use high quality tea leaves in all their tea. The leading other brands use lesser quality teas and mix stalks with their leaves and thereby making the tea less flavourful and cheaper. The real test is in the drinking- I was converted from a leading other brand to Punjana about 3 years ago. Producing tea under the Thompson’s Tea Insignia allows for the development of many other tea blends and drinks as below. 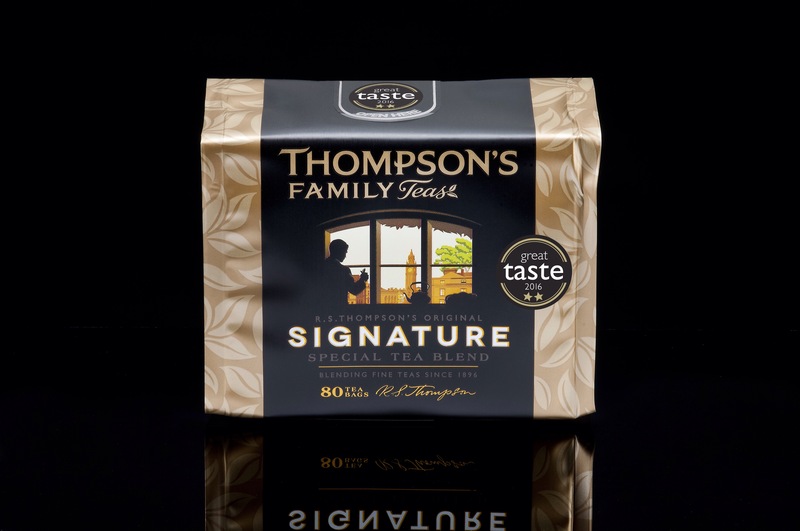 Thompson’s Family Tea Signature Blend won two gold stars at the 2016 Great Taste Awards and the quintessential Original Punjana Blend won three. This is a true testament to Thompson’s Tea as to be recognised out of 10,000 food and drink items you need to write a brief, succinct description of product in less than 20 words!!! They have won many stars previously so have a great track record. I would recommend you all try the tea and decide yourselves. I would like to take this opportunity to thank Ross Thompson, Lindsay Skinner and Louise for all their time and help. I would like to know if there are any pesticides in your Punjana blend or your Irish breakfast blend . 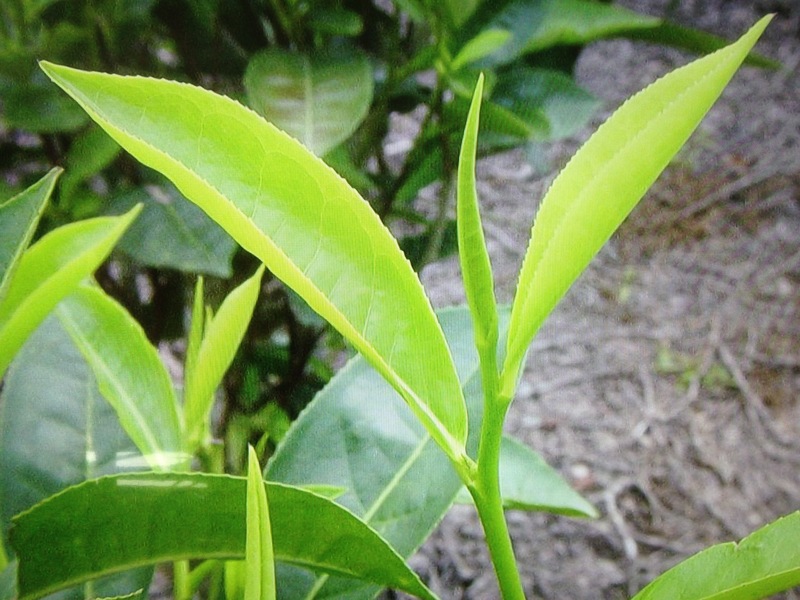 I just read that many of the teas on the market have pesticide issues.